New York Style, Grandma, and many other gourmet pizzas done right by the friendliest family owners around! I love the NY style, but the brooklyn and grandma are breathtaking as well. 2. Sacco's Pizza - Scranton Perhaps the most underrated pizza snob location in all of NEPA. Try the traditional NY Style, you won't be disappointed. 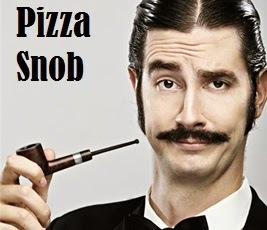 Generally speaking, those pizza snobs who come from New York City tend to find themselves enjoying Buona's thin crust. Try the NY Style at the downtown location or the Chicago Style at the Green Ridge spot. For many pizza snobs I talk to, Basilico's is the standard-bearer for high quality New York Style and gourmet pizzas. The pizza montanaro is a hidden menu item that I highly recommend (click the link above for the full review). Home of the best wood fired pizza in NEPA! Stop in at their Dickson City or Scranton location for a flavorful and tasty treat! Rated 5 stars here on this very website! This place boasts several types of great pizza, but the Chicago Style is quite unique and packs a flavor punch that my fellow pizza snobs will crave. Luigi's provides a great traditional New York Style pie among other types that should live up to a pizza snobs expectations! If there are any pizza snobs in Clarks Summit, look no farther than Rosario's wide selection of high-end gourmet pizzas and new creations. My favorite - the Grandma Pizza. The Margherita Pizza is to die for here, and I assure you, EVERYTHING on the menu is incredible! This modern cafe style pizzeria churns out delicious pizzas cooked in a blistering hot coal oven. All the pizzas are great and I also recommend the coal fired wings.